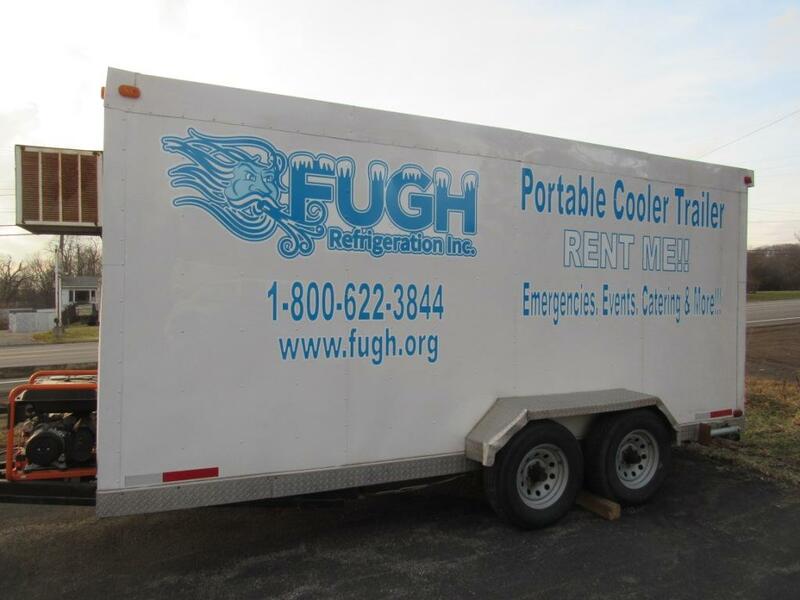 The Fugh Refrigeration Rental Cooler Trailer is perfect for any event or temporary storage. The Fugh Cooler Trailer can be used anywhere you need a cooler for any period of time! Our rental cooler is engineered specifically for outdoor use and built to withstand the outdoor elements. The Fugh Refrigeration rental cooler is designed for food storage in any location, allowing you to take your business anywhere. If your event calls for refrigerated transport, takes place in multiple locations or simply calls for flexibility, our cooler trailer is perfect for you. The operating temperature range’s from 34°F to 37°F. Our cooler runs on 208v or gas generator (+$100 and customer provided fuel). With inside dimensions of approximately 15′ long x 5′ 8″ wide x 6′ 5″ tall which gives it 545 cubic ft. of space, making it large enough to store a large quantity of product. The large door opening of 2′ 11″ wide x 6′ 3″ tall provides easy access. We offer a 5% discount to Church/ Non Profit Organizations and a 15% discount on rental for customers waiting on repairs! See a selection of equipment that is currently available. New customer to Fugh Refrigeration? You can save $20.00 off your first service call. Click Here! 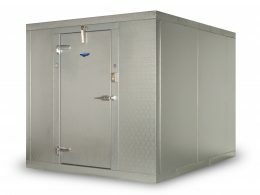 Instant price quote for walk-in coolers & freezers shipped directly to you! Click Here!